Today marks an important day in the hip hop community, as following three mixtapes, sharing the stage with legends and headlining sold out tours… J. Cole has decided it’s time release his debut album, Cole World: The Sideline Story. 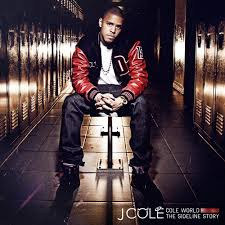 Produced by Roc Nation, this album was anticipated to be a debut much like Jay-Z’s Blueprint, bringing that timeless appeal to give Cole some staying power. This is helped by the fact that Cole World has no real weak songs, and appearances by Drake, Missy Elliot, Trey Songz, and Hova himself adds the variety needed to never have to skip a track. The way the album was put together also deserves some credit, as the songs are arranged to make for a smooth run through of a larger piece of music. Cole World was slated to be released today, but it seems like everyone was tipped off to the leak early, including me. It’s always nice to know someone on the inside of the art world. Preview it below, then Buy or Download the whole album for yourself. I think that the last time Blue Scholars graced the pages of Straight Goods was back in October of 2010, which is way too long. They've got a new album coming out next month so its about time we previewed the musical goodness that's on its way. Sabzi and Geo took a different approach to this album by choosing not to release it on a label, but rather by requesting funding from fans to pay for studio time and the other costs associated with releasing an album. They launched the campaign back in March, looking for 25 grand in donations from fans, an amount that they reached in just over a week (sidenote: I'm going to start one of these donation things to fund my beer supply for may 2-4 weekend... don't sleep on that). I've heard a couple songs off of the album but I'm pretty sure that they're unofficial leaks, so I don't want to give away any mp3's of songs that aren't supposed to be out yet. Instead, the Seattle hip hop group has released a track called John Delorean that was an outtake from the album. I also stumbled across another 'new' song in the form of the winning selection from a remix contest that Blue Scholars held a little while back. 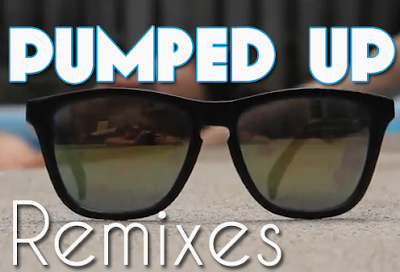 The subject of the remixes was their classic Hi-808 and the winners Jazzpotato & Basmatibeats took an old school approach to the track. The low keys have a mid-late 90's feel to them, and that vocal sample is so catchy. Overall the remix does a great job of retaining the laid back feel of the song while simultaneously adding texture to it. The end result... windows down music. And since we're doing this preview, check out this video from their appearance on Knocksteady (Intuition's little shindig) featuring a performance of one of the cuts off the album. The song captures the overall feel of the album as I've experienced it so far, definitely a different direction than Bayani, which is in no way a bad thing. I loved Bayani and still do but its nice to hear them change up their sound a bit a release a new album with a fresh sound, especially since its been 4 years since their last major release. 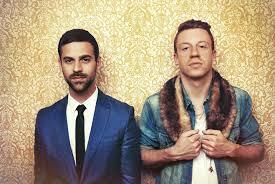 Macklemore was one of the original artists we featured here on Straight Goods, back when he first teamed up with the natural productions of Ryan Lewis to create the VS ep. Two years later the duo has finally regrouped their efforts, with an album in the works and a tour in progress across North America. There's something about Macklemore's honest, no-filter rap over Lewis's organic instrumentals that paints a picture unlike any other. 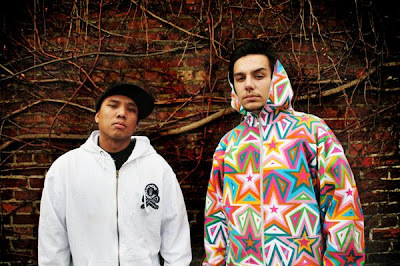 Hear below for the two tracks they've released so far, and look for the duo to be putting out their sophomore album early 2012. When Macklemore/Ryan Lewis come to your area buy some tickets, you won't be disappointed - I know we'll be there when he comes to Toronto December 10th. It's only $18.50 to pick up a GA ticket, so figure it out cause these won't be sitting on the shelves for very long. In my attempts to get things in back in order around here, I found that the blog's email had once again turned into a gold mine of good music. Keep sending - if it comes personally I will read it, if your manager has us on a mailing list... no guarantees. An artist named Moufy sent over his mixtape and it turned out to be one of the gems pulled from the chaos of submissions. He hails from Boston and lets everyone know it, with his title track Boston Lights even getting play at the Patriots game this weekend. Moufy takes a hard stance with his lead single, but in the rest of his music we hear a deeper side with a smooth storylined pattern. 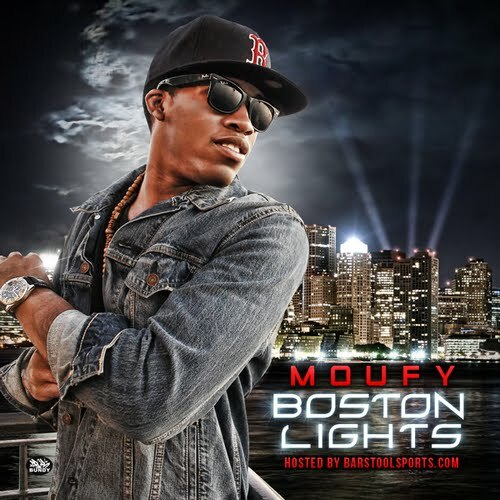 His Boston Lights mixtape is now out for free, and there's some good visual stimulus to go with the leading tracks... which you can find below. Moufy also put out a short film before the mixtape, produced by a film production team, that takes his storylined approach to the extreme. Moufy isn't in this film - just his story depicted while we follow the lines. You don't see this quality from artists on the comeup. 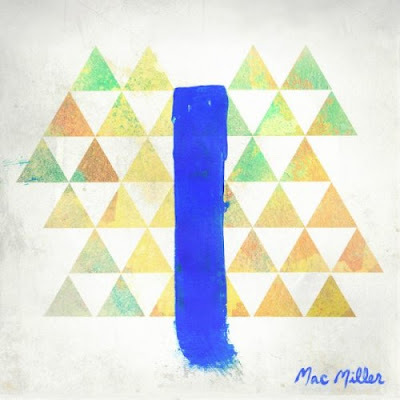 Mac Miller has released the album art and the lead single from his next album, Blue Slide Park, and I haven't been disappointed yet. The art in particular takes a mature approach, generalizing Miller's childhood park to a minimal form of representation with shapes and a stripe. If this is reflective of the direction he is taking with this album it will mean only good things, as Mac should be realizing at this point he is going to have to grow up to have any staying power in the hip hop scene. Based on the preview so far, if I see this in the record store I'm not going to hesitate to buy it... that is after it comes out on November 8th. Lets hope the rest of the album keeps pace. See the lead single Frick Park Market below, as well as a track called Face the Facts that Miller leaked with the one and only DJ Premier. This track isn't off the album, but off a mixtape that Miller has set to release before the album drops called 92 to Infinity. Produced by DJ Jazzy Jeff, this will be looking to get the buzz up just in time for launch date. Such strategy. I came across this remix just before I was handcuffed by my lack of internet and have wanted to share it ever since. Jacob Plant (no relation to Robert) sees the genius in Oh Land's Son of a Gun, and emphasizes it's haunting charm perfectly with his dub step remix. Usually this style of music isn't my first choice, but Plant tailors it nicely, turning what was a trippy original to a remix you can't sleep on, literally. Find it below and hit this link to listen to more of his music. 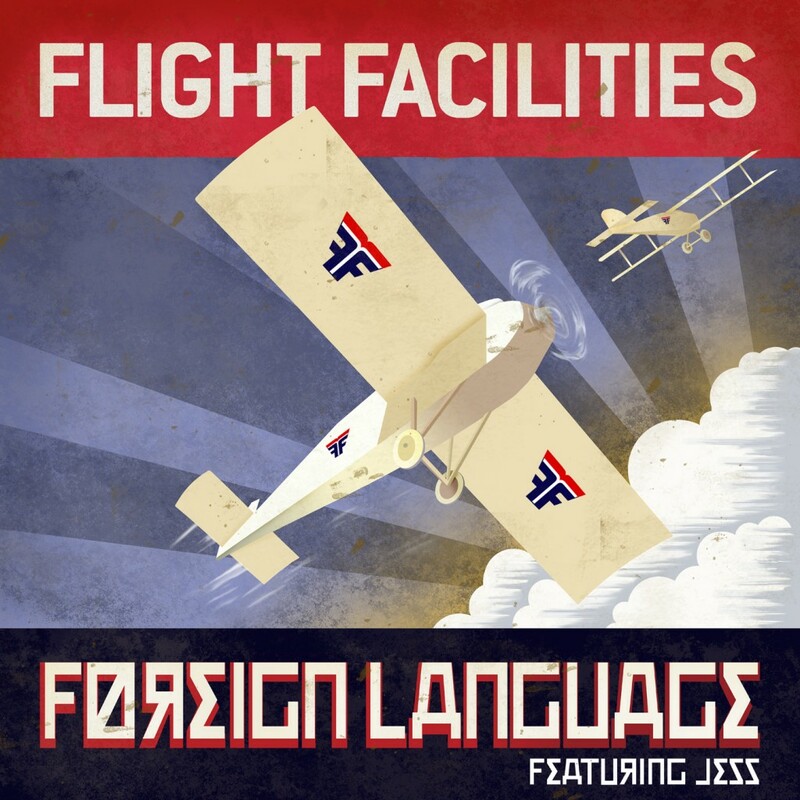 Flight Facilities - "Foreign Language"
A while back when I was in my prime posting days, I dropped the Flight Facilities single “Crave You”, which still gets it's views and rolls around in my playlist. Well the always anonymous duo has come out with their next single, and it’s another banger of the 80’s electropop nature. “Foreign Language” is a great track straight out of the past, with a nice disco feel and strong baseline bumping throughout the song. It’s funny how these things come back around, as this could totally hold down a dance floor 20 years ago as hard as it could today. Hey remember when I posted Pumped Up Kicks back in..... March? I wish I could have invested in it instead, because it's still just gaining popularity now with artists finally remixing themselves onto it. Both Kendrick Lamar and Yonas have posted up their own versions of Foster the Peoples' lead single, and they both are actually pretty good. I think Yonas takes a better approach though with a harder, more rugged beat that keeps more of the song together. Kendrick's verses are still solid but he sets the tone and tempo much softer, so when he's not rapping it gets a little too lighthearted for me. Figure it out for yourself below. XV has found a great sample in the erie theme song from inception and proceeds to lay down some deep thoughts respectively. 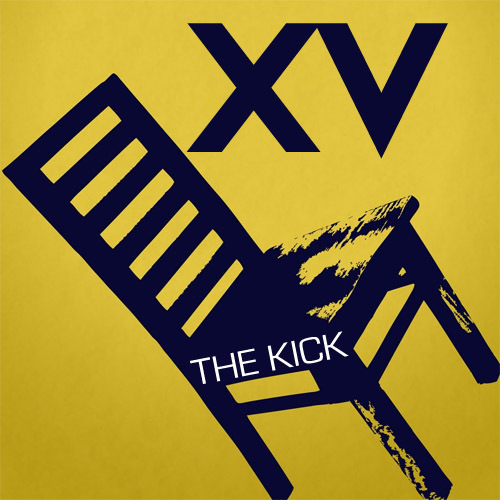 This is one of the many tracks that XV has been releasing lately, and "The Kick" is actually timely for me as I just finally got around to seeing the film a couple days ago. Same idea as how Aloe Blacc's intro song to How to make it in America was so well received, when artists find samples in unique, recognizable places like this it adds another layer to the song, letting you relate to both the lyrics and the subtext. Take the kick for yourself below. The Cardigans are a Swedish alt rock group that were also featured in that film I posted yesterday, but I'm going to go ahead and give them their own post because they have such a solid, distinctive style. The tech-electro approach this group takes, always with a humming baseline and kick, exposes the smooth female vocals while not losing any intensity at all. I had been introduced to them a while ago by their song My Favourite Game, but it wasn't until I heard Erase/Rewind in Double Decade that I was re-addicted. Have a listen to both of these tracks by The Cardigans below and look for them to be releasing music in the near future - Even though they already have a "best of" album, they'll still be putting out. Yup. 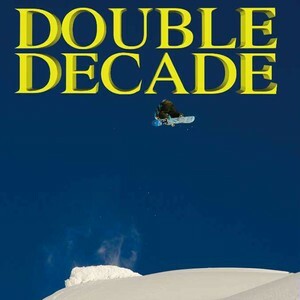 I recently picked up the 20th anniversary film from Mack Dawg Productions, Double Decade, which is a greatest hits of classic riders and classic music (see whip it). There's a couple of songs in this movie that were so good that I watched the parts repeatedly just to listen to them over again... well since I had no internet it was the only way, but still. The songs below were the ones that I hadn't heard before and got me hooked on the movie, so hear them out. Peep the full setlist to find some more gems if you’re hunting for some good listening. M83 is a synthrock band that hasn't seen the studio since 2008, as much like myself, they took a little bit of a hiatus. If you haven’t been exposed to them yet the music they create is atmospheric, almost instrumental in nature, but this is what makes it good as it can be interpreted differently by anyone that listens to it. With a sense this music is still very storyline based, as although there is no true lyrical pattern most of the time, there is still the feeling that there have been challenges overcome with momentum building to a conclusion. 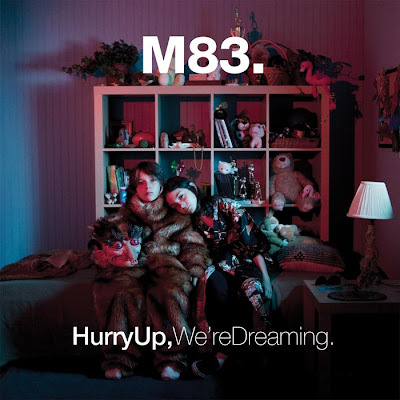 M83’s next album won’t be released until October 16th, but they have been so kind to give away the single Midnight City ahead of schedule. Listen to that track below, and keep this group in mind for those mental health days we all take from time to time.